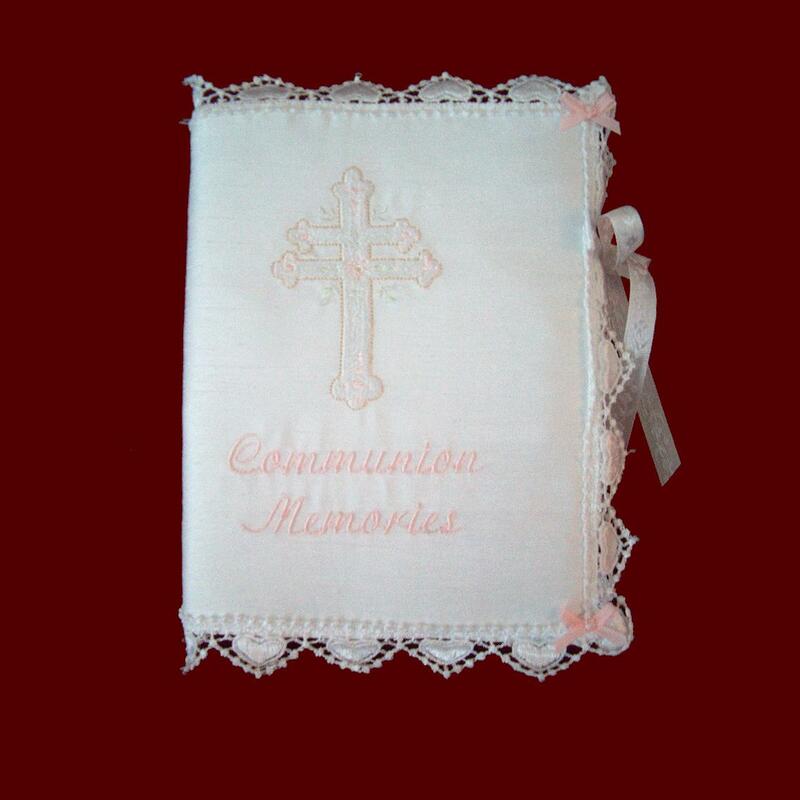 Communion Memories keepsake photo album holds 100 4" x 6" standard photos of her special day. Embroidered cross with pale pink accents can also be personalized (instead of "Communion Memories" sentiment) with name and communion date. Scalloped Venice lace on the outer edges with ribbon bows and satin ribbon ties. Cover is removable for easier washings and is available in the following fabrics in white or ivory: satin, shantung (shown), silk dupione, cotton batiste, linen batiste, and Irish Linen. **New cross designs to choose from. Embroidery can be all white or with pale pink accents. (Other colors available - add to special requests). Irish accents may be added to all items on this website. Laces may vary depending on availability.